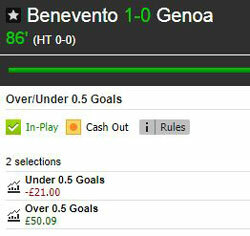 Live Stats Module: Launched to Goal Profits Members! Keeping track of in-play stats is a bit of a nightmare. 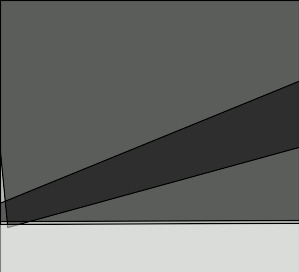 You have to be sat at your screen, continuously scribbling down numbers and trying to work out where the action is. All of this leaves you struggling for the time to actually trade! Our brand new Live Stats Module solves all of that. It automatically tracks shots, corners, dangerous attacks and possession for every game. It also displays the latest score, Betfair prices, time added by the referee and even which fixtures qualify for various Goal Profits strategies. However, the best part of our Live Stats Module is that it shows you exactly what has happened during the previous 10 minutes of every in-play game. The LSM calculates a rating based on various factors so that you can see at a glance which teams are really going on the attack! Ok, so let's look at the Live Stats Module in action (click on the images to expand). 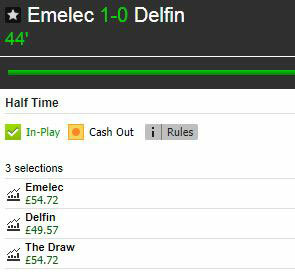 Here's an Ecuadorian game between Emelec and Delfin which is approaching half-time. You can see that the home team have been attacking hard during the previous 10 minutes. They have had 1 shot off target, 3 corners, 16 dangerous attacks and increased their possession by 9%. LSM calculated a Rating (Rtg) of 22-2 which is pretty high and 2 minutes later, the home side scored. I had backed the half-time home win and layed the half-time draw for a total liability of £13. After trading out, I was left with a healthy £54.72 profit. This was a very quick trade, perhaps 5 minutes in total. Here's an Austrian Erste Liga game which LSM told me qualified for M22. It also showed that the home team was on the attack and calculated a Rating of 16-0. 3 minutes later and the score was 2-2! It was far too early for a traditional M22, but I had layed Wattens at 1.30 and was waiting to be matched when the goal went in. No profit that time, but another example of how LSM gave me a huge advantage. 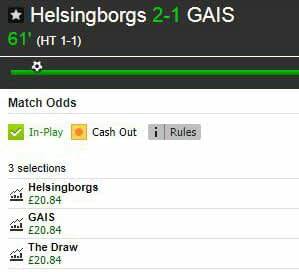 A game in the Swedish Superettan with Helsingborg well on top. As you can see, Helsingborg scored right as I was trying to get the screenshot above and I didn't get all of my stake matched, but enough to make a little over £20 after trading out. This trade took all of a minute! Finally, an end of season game in Italian Serie A between two teams with nothing to play for. The players certainly weren't thinking about their summer holidays! A three minute trade and a nice profit in the bank. There are so many ways to make a profit with our Live Stats Module on your side and especially when used with the rest of Team Stats. For example, if the League Table Analysis page shows you that a particular team plays strongly in the first half and the LSM shows you they're attacking hard, it adds massive confidence to a trade. But wait... it gets even better! You can create a list of 'My Games' and then set your own filters. Perhaps you add every English league game on a Saturday afternoon, then ask the Live Stats Module to only display those which have had at least 5 shots during the past 10 minutes... or maybe just the games in which the score is level and the home team has had at least 10 dangerous attacks in the last 10 minutes... or perhaps you only want to see games which are 0-0 with 60'-70' played. You can even automatically hide games which have had a red card! I haven't used the filters much yet. I have been finding so many strong trades just by watching the live games, that I haven't needed to filter anything out automatically. I'm sure I will do though, probably setting a minimum "Rating" (Rtg) to start with so I'm only looking at games with a lot of action. This has been an expensive and lengthy project, built piece by piece over the past 3 years. We wouldn't have been able to do it without the support of the Goal Profits community, which enables us to crowdfund the very best trading tools and make them affordable for everyone. ...plus the brand new Live Stats Module. In other words, everything you will ever need to learn how to trade properly and achieve all of your trading goals. Dan emailed to say, "This is working a treat paid for itself already in 3 days at £10 stakes, great stuff!"